Dr. Alex Chaney graduated from the University of the Pacific, Dugoni School of Dentistry located in San Francisco, in 2017. He completed his undergraduate training at UC Riverside with a BS in Mechanical Engineering, and then went on to pursue dental school requirements, worked a software consulting job, before entering dental school in 2014. Dr. Chaney is trained in the latest techniques, and keeps up to date on continuing education courses to constantly improve and grow as a provider. He is a member of the American Dental Association (ADA), the Academy of General Dentistry (AGD), and the California Dental Association (CDA), and serves on the board of the local dental society. Dr. Alex originally wanted to be an engineer, but during his senior year, realized he wanted to work with people more, and not spend all his working life in front of a computer. Reflecting back on his experience working at his Dad's office (Dr. Vic), he realized that dentistry fits all of his interests amazingly well, and could be a career that he loves. 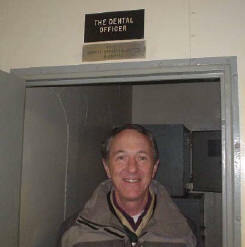 He continues to carry his passion for dentistry into his practice. When Alex is not doing dentistry, he is often hiking, camping, biking or just hanging out with his wife Eli. He enjoys many hobbies, including playing piano, painting, creating jewelry, working on his bonsai trees, and woodworking. He is self-taught on most of these interests, and is often exploring new ideas and fields. Ask him what he's working on right now! Dr. Chaney graduated from Dental School at the University of California, San Francisco, School of Dentistry in 1977, receiving the Doctor of Dental Surgery degree. For his undergraduate training, he attended the University of California at Riverside, and received his bachelor's degree in Physics. Dr. Chaney is strongly committed to education. He continues his dental education with regular attendance at post-graduate courses, so that he may stay abreast of current developments in dentistry. He is a member of the California Dental Association, and the American Dental Association. If dentistry does not keep him busy enough, then he has plenty of other interests to keep him out of trouble as well. He enjoys his family, with his wife Sharon, and his two boys Alex and Neil. The family enjoys hiking, camping, boating and scouting together. Everyone enjoys making things, as you can see on the family's web site. He is an Assistant Scoutmaster of Boy Scout troop 77, and loves to spend time with the scouts. With the scouts he enjoys hiking, backpacking, canoeing, and many other activities. He also plays music in a country band called The Desert Moon Band. He applies his artistic talents, assisted by some of the skills he learned in dentistry, to some unusual creations. His interests in electronics, computers, metalworking and woodworking are mostly self-taught. He likes making things so much, that when he first learned about what dentists do and how much creating things with his hands was involved, he said "This looks like the profession for me! ".